High quality straight razor gift set from Colonel Conk, with a 5/8" Dovo straight razor from Solingen, Germany. The straight razor has a black acrylic handle. Badger shave brush with a black handle, with a stainless steel shave cup. 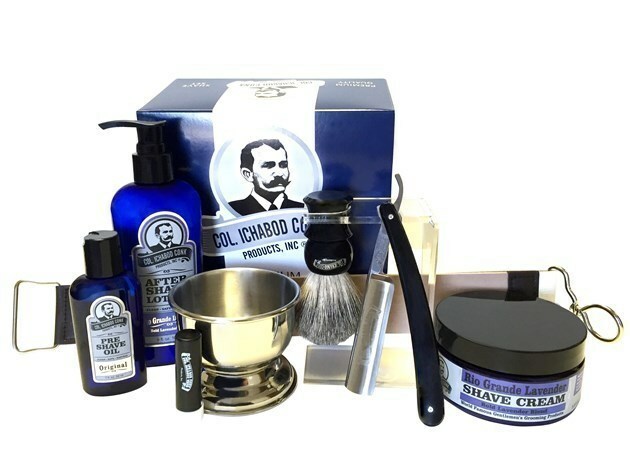 Includes pre-shave oil, shave cream and after shave lotion from Colonel Conk's luxurious Natural Line.